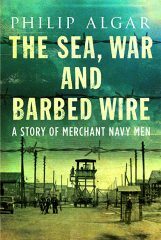 A graphic account of their liberation, written as it happened, is included and the role of the U-boats and the merchant raider vessels and their commanders is also discussed. Finally, there are many pen portraits of international leaders and ‘ordinary’ men propelled into another conflictafter ‘the war to end all wars’ had been concluded. This is an excellent read and I would highly recommend it.